An ingrown hair cyst refers to an ingrown hair that turns into a cyst — a large bump that extends between the skin’s surface and deep underneath it. Ingrown hair cysts can be quite painful if not identified properly and provided appropriate treatment. Usually, ingrown hair occurs to people who do shaving, waxing or any other conventional hair removal techniques. An infected ingrown hair can cause a lot of problems which can turn from a minor infection to major. 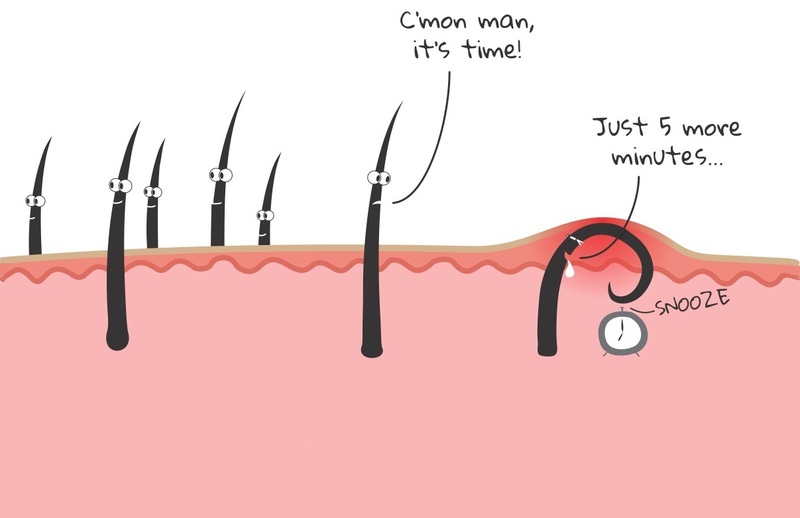 Therefore, one must know to identify ingrown hair properly. Many African-Americans, Latinos, and people with thick or curly hair develop a type of ingrown hair cyst called pseudofolliculitis. More commonly known as “razor bumps,” this collection of little bumps is common on the beard area after you’ve shaved, waxed, or tweezed to remove unwanted hair. The hair that grows back has a sharper edge, so it can more easily poke back through the skin and get trapped under the surface. Steroid medicine that you rub on your skin to bring down the swelling and irritation. Retinoids (Retin A) to remove dead skin cells and reduce the skin pigment changes that can occur from ingrown hairs. Antibiotic that you take by mouth or rub onto your skin to treat an ingrown hair infection. The prevention of ingrown hairs that could lead to dangerous cysts includes creating a daily routine that has a strong skincare regimen. Proper shaving technique and proper tools can also significantly reduce the occurrence of the cysts. Some razor companies may advertise multiple-blade “close shaving” razors that will actually increase the occurrence of ingrown hair cysts. Single-bladed razors are actually a much better option and leaving a small amount of stubble will significantly help your hair from slipping back into the skin. Use an exfoliating scrub to tease out any ingrown hairs on a daily basis. Shave with a sharp SINGLE BLADED razor. Wet your skin with warm water and use a lubricated shaving gel before shaving. Shave with the grain of your hair, not against it. Use single strokes, do not go over your hair multiple times to keep it from slipping back under the skin. Rinse the blade after every stroke. Don’t shave too closely. Leave a bit of stubble if possible. Apply a cool towel to your skin after your shave to reduce irritation. 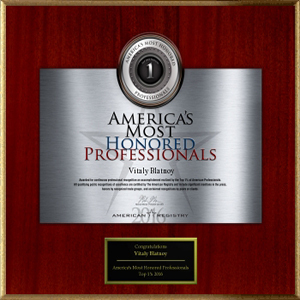 For more information be sure to contact Dr. Vitaly Blatnoy for an appointment at the Orlando Dermatology Center.